Rather than tackle all of the components of a large expository research project with one enormous assignment, consider rolling out a couple skills at a time to be executed within an initial smaller product. Then review those skills and introduce a few more to all be generated within another short piece. 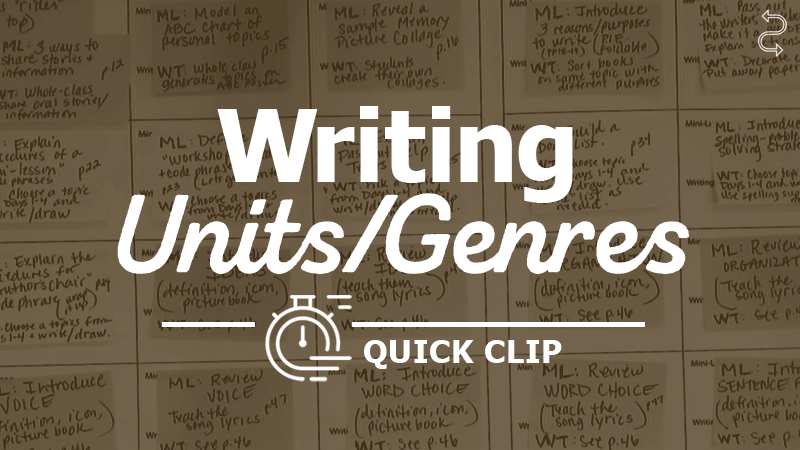 Continue this spiral teaching providing multiple smaller writing experiences, rather than one mother lode unit.